Kirsten here with a look back at Lisa’s classes in Maidstone yesterday. I don’t think Lisa & my fellow assistants would disagree with me when I say that both classes were busy, busy, busy! Each class had almost a full complement of students – we had some new ladies join us & we were delighted to welcome them - there were masses of new items to be purchased & new techniques to be taught, especially regarding the use of stencils. Sparkle Medium. It was disappointing for the second class, but as Lisa said, you just don't know what people are going to like. She will be ordering another consignment in the next few days, so keep an eye on the website, we’ll get it uploaded as soon as possible. 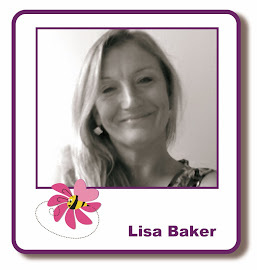 Alternatively, you can contact her direct, by phone, 01622 675078, or email, lisabaker1@btinternet.com & she will take an order from you that way. New stamp sets from Hobby Art, on the website and can be found here. Stencils & masks from That Special Touch ….. from Creative Expressions. Again, if you see a stencil you particularly want & it's sold out, Lisa can order it for you. Cardboard frames in assorted shapes & sizes. These are sturdy, yet lightweight & will be on the website soon. Tiny Versacolor ink pads. Gorgeous colours, suitable for embossing & again, they’ll be going on the website soon. The afternoon class eager to get started. At the February class Lisa asked everyone whether they wanted to make a card or a frame. I think some of the ladies who chose to make a card wanted to change their minds when they saw the frame. Time to get inking. Everyone used the Bay Leaf stencil from Imagination Crafts in class & they got to take it home with them afterwards. There were a few left over & we’ll add them to the website too. Adirondack inks from Ranger were used through the stencils & it was great to see all the different colours that people chose. Most of the ladies hadn’t used stencils before, so as they applied their chosen colours they were all somewhat nervous about the end result. At the ‘big reveal’ when they lifted their stencils there were lots of “oohhs” of delight at what they had achieved. The ladies who were using the frames had covered them with gesso first, then used the same inks as their central image. The inks faded into the gesso, drawing the eye to the picture. I think the inks used on this one were Stonewashed, Denim, Meadow & Oregano. Craft Classes & Workshops page & if you would like to book a place, please contact Lisa via phone or email, as above. In other news, the Lavinia Stamps promotion ends today, you can find the final promotional post from Suzanne HERE. Comments on all posts must be left by midnight tonight & I shall be back sometime tomorrow to announce the winner. The new blog challenge will launch tomorrow also, so keep an eye out for that. Have a great weekend. Thank you Lisa and thank you to her little band of helpers. It was a enjoyable class where we learnt new techniques and really impressed ourselves when we took our first glipse on turning the stencil over to reveal our individual pictures. So pleased we chose the picture (ha ha).